The college offers undergraduate courses in Arts, Science, Commerce and Management, both for boys and girls, is affiliated to Bangalore University. At present there are 1199 students on roll from all streams. 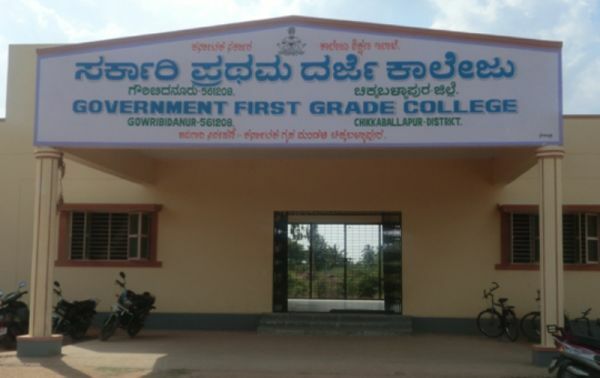 Indeed this is a very high strength in the recently established Government First Grade colleges.The college has achieved excellent results in the university exams. Students are given opportunities to participate in inter-class as well as intercollegiate competitions and they have earned laurels in many such competitions. Encouragement is given to co-curricular activities also. The college aims at provide holistic education to the students who are primarily from rural background. The maximum endeavour of the faculty is to concentrate on inculcating confidence and language skills.Students are provided with sports and games in the campus after class hours. Our students have participated in a number of inter-collegiate sports meets.For the all-round development of the student community the college has NSS wing which also creates a sense of service to society, the heritage club in college strives to create awareness to our heritage in society through multiple programmes.The college Library is presently housed in the Sericulture Building and it has the sufficient collection of books as per the syllabus. Reading room facility is provided with leading daily newspapers and journals.